The Profit First Instant Assessment can help you grow your business faster. The Instant Assessment tells you what you need to do with your allocation of money in your business (either Increase or Decrease Profit First percentages) and by how much. 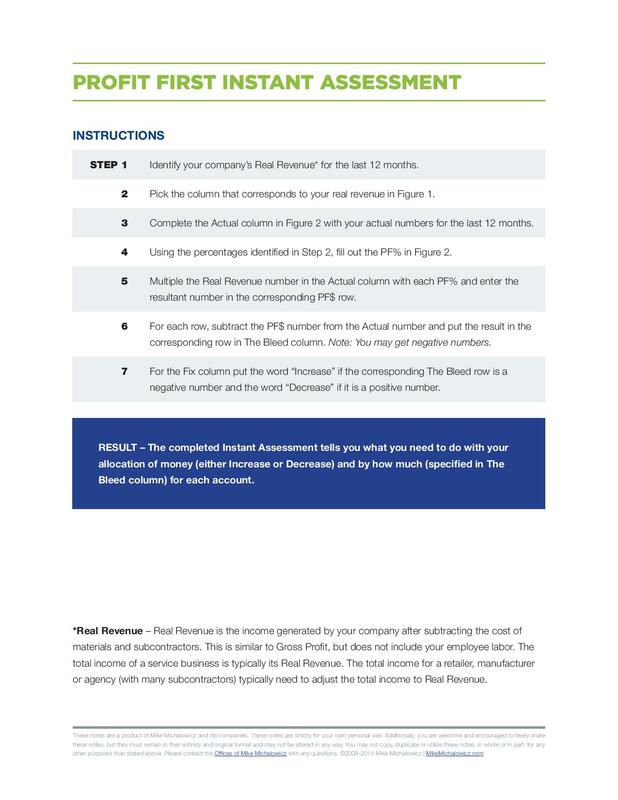 Enter your details below to download the Profit First Instant Assessment.